I’ve completed the strategic galaxy map in the game which gives you a galaxy-wide view of colonized systems, environment types, and planetary resources. This view is done*… meaning that it meets my original goal but will nevertheless get some enhancements. In particular, the “Colonies” view is not very useful — just like in the actual game. 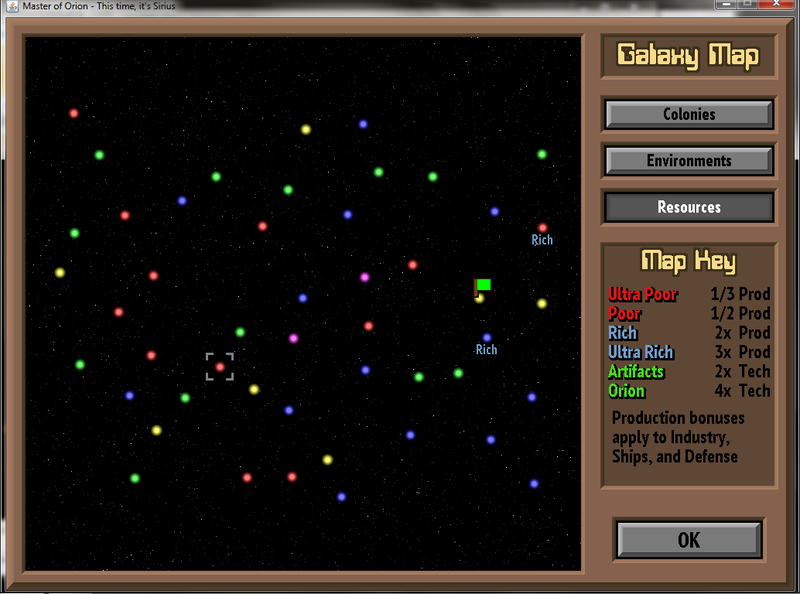 I’ll probably add missile base and planetary shields info and convert it into a “Defenses” view instead. 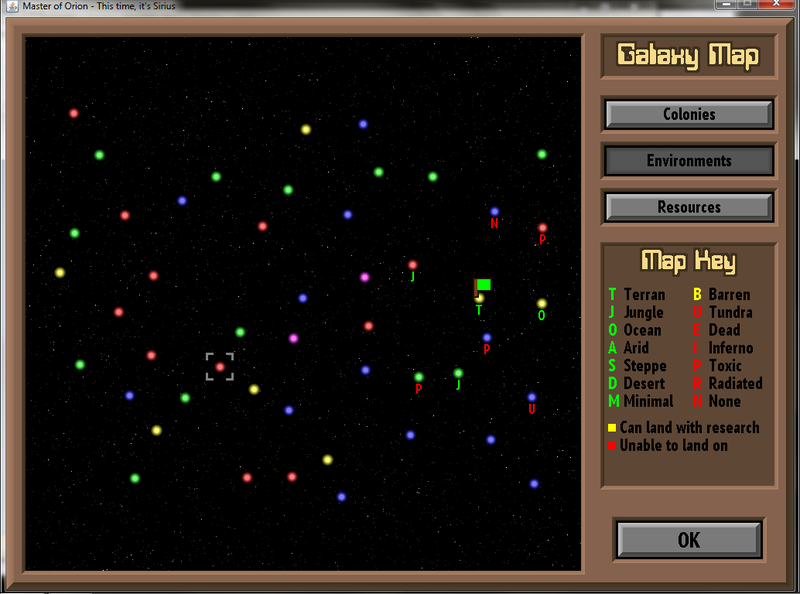 Here is the “Resources” view, which is identical to the “Minerals” view in the original game. The additional enhancements to this screen, for Defenses, will be easily completed this weekend along with some other odds and ends. Since I originally did not plan to start Phase 2 until April and I’m already halfway through with it, there’s no point in pretending that it won’t be done until the end of June. Barring some unforeseen circumstances, I should be done with this phase by the end of May and starting on Phase 3 (Races and Diplomacy) in June.